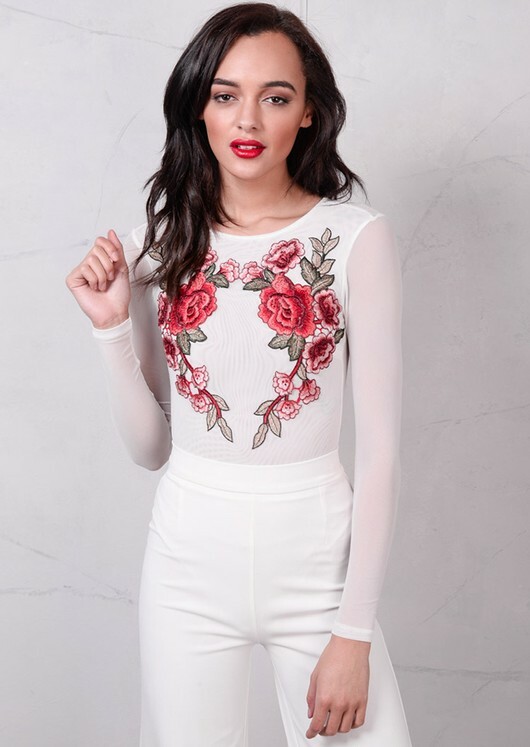 Make your base layers work hard with this floral embroidered sheer bodysuit. It is a perfect layering piece in your wardrobe. 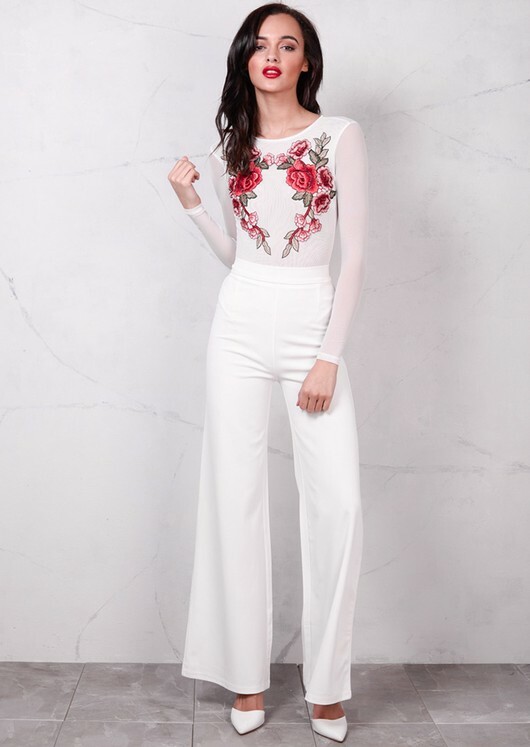 A form-flattering fit with a stretchy finish with intricate embroidery floral detail motifs to accentuate any figure. Style it with a leather skirt and boots to make a statement.